Without any equivocation, New York State swiftly announced it will continue to pursue President Barack Obama's clean power guidelines, despite a hold on the plan issued by the Supreme Court. The move reaffirms New York State's commitment to clean energy policy, at a time when the President's critical climate plan has essentially been paused. On the evening of February 4, 2016, Mayor Bill de Blasio presented his third State of the City Speech. The speech, delivered in the Bronx, highlighted what he is doing to promote sustainability, green energy, and transportation initiatives. 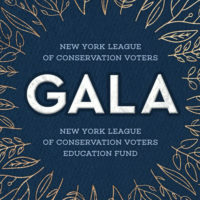 After receiving the New York State Bar Association's award for environmental achievement, State Comptroller Tom DiNapoli took to the podium to remind the public why he earned the honors. The Supreme Court has issued a ruling that will be a huge boon to the fight against climate change. But it's a bit complex so we wanted to take a moment to explain it in greater depth. The move will pave the way for regional energy markets to maximize efficiency in electricity consumption at peak times. One of our most important goals at NYLCV is to make sure elected officials keep to their promises when it comes to the environment. One of the ways we do this is by releasing our New York City Council Environmental Scorecard every year, which evaluates each member on their environmental record. With the Flint water crisis raging, there's a silent epidemic in our own midst. According to an article by Vox, urban environments face immense, unchecked levels of lead - including here in New York. There are still many big items on our to-do list for this year and that's why we've released our New York State Policy Agenda for 2016. It includes our top priorities for Albany to act on this year. The MillionTrees NYC Project, started in 2007 by Michael Bloomberg and Bette Midler, has concluded its efforts to bring the city into the forefront of the fight against climate change. While the ceremony for the final tree planting needed to be rescheduled, the results of the program remain evident throughout the five boroughs.